I hope you all enjoyed your weekend. I just wanted to share with you this dishcloth that I made last week. It's from Week 9 of the 52 Weeks of Dishcloths. 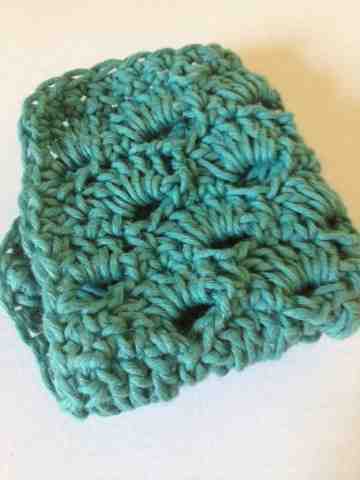 Here is my dishcloth, I just love the color I picked out for the yarn. The yarn is from the Martha Stewart line, cotton hemp, and the color is called Peacock. 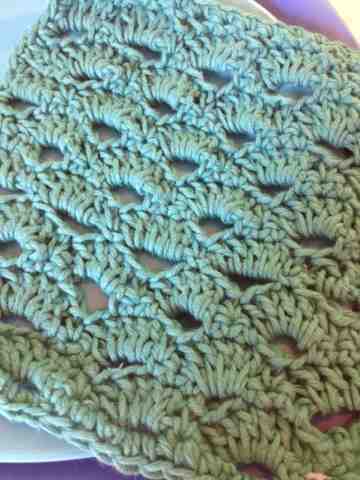 This is a close up of the dishcloth and you can see how pretty the fan stitch is. Here is the dishcloth folded up. 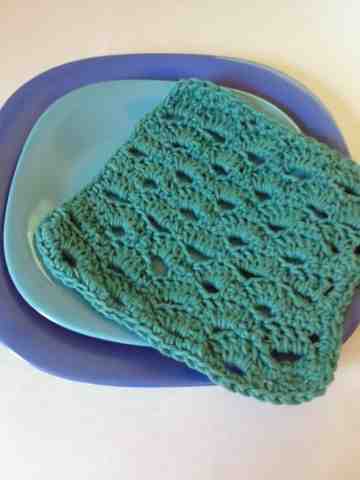 For the details and the pattern you can go to Being Spiffy if you want to make this dishcloth too. Oh, I love it and what a gorgeous color...looks like a Florida color! I like a lot of shades of blue and green in my decor there. I sure want to try some more 'easy' crochet patterns! Hugs! I love the dishcloth and you're right, that color is amazing! I haven't tried the Martha Stewart Line yet.